Beautiful 2BR/2BA & DEN condo with open floor plan. Kitchen boasts granite counters, SS appliances, cherry cabinets, breakfast bar & under cabinet lighting. Breakfast room w/gas FP. Separate DR with custom Built-ins. Hardwood in foyer, LR, DR, breakfast & kitchen. Lots of storage in laundry room, hall walk-in closet & extra storage room. Private Balcony off Breakfast rm. Neutral paint. Convenient! 12236 Roundwood Rd #202, Lutherville, MD 21093 is a 2 bathroom, 1,700 sqft condo built in 2007. This property is not currently available for sale. 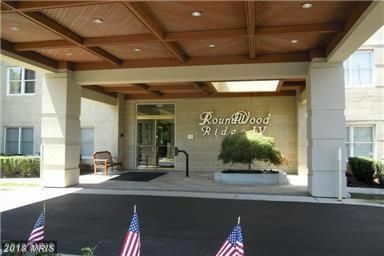 12236 Roundwood Rd #202 was last sold on Sep 11, 2018 for $415,000 (2% lower than the asking price of $425,000).